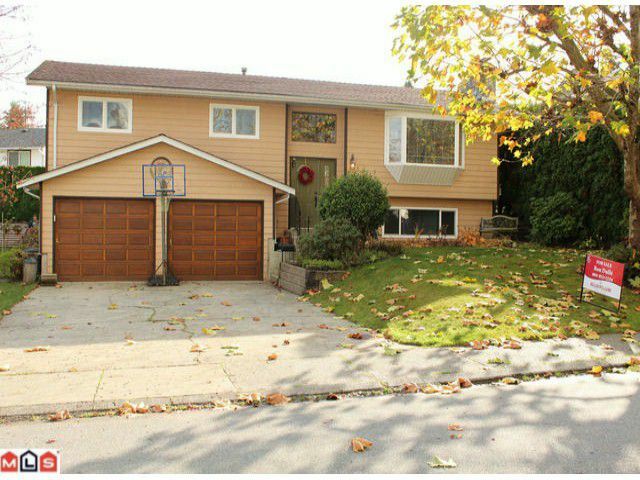 East Abbotsford - 1960 sq.ft. 3 bedroom basement entry. Great location - Robert Bateman area. Large 15'x20' sundeck, partially fenced yard, and room for RV on side of the house. 2 gas fireplaces. Rec room, den & laundry room down. Double. Double garage - 1 side over 28' deep.